The holiday season is HERE and boy, am I already feeling it! Downtown Bethlehem is bustling, the Lehigh Valley Mall is a zoo, and my Amazon cart is growing by the minute. 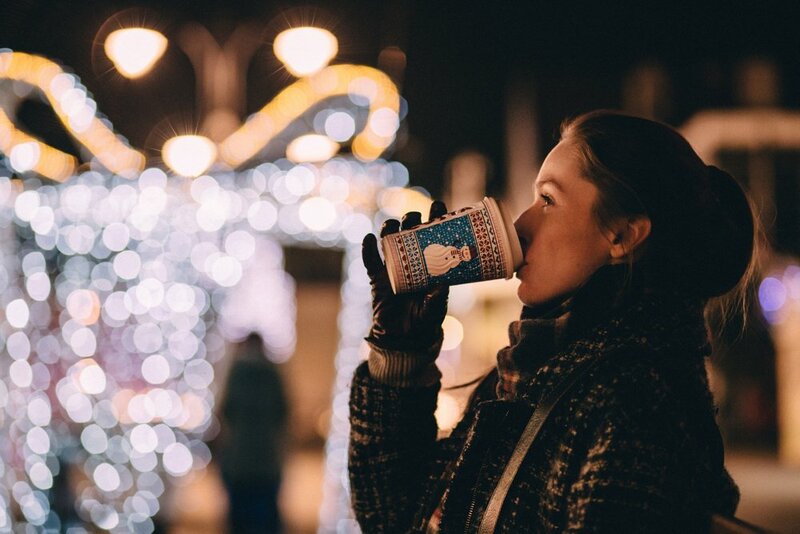 Looking forward to checking out a few of these festive events that promise to keep us all calm and collected this holiday. Plus, who doesn't love a good tree lighting? Wishing you a happy and healthy week ahead, Live Well-ers! Who says hiking is a 3-season sport? Join the Appalachian Mountain Club and learn about the clothing, equipment, and safety necessary for winter hiking, whether your plans entail local parks or more remote wilderness. Learn healthy holiday eating tips from Lehigh Valley Health Network’s Erin Levine, RD, CSO, LDN, a board certified specialist in oncology nutrition. Start the day with coffee and conversation with friends and colleagues. Savor breakfast featuring home-baked pastries and baked oatmeal. You'll also hear the staff of Lit explain and demonstrate the coffee roasting process, and can take home coffee beans that were roasted before your very eyes! Register here. Sip on some handcrafted cocktails while you browse Stella & Dot, One Hope Wine, Touchstone Crystal by Swarovski, Jamberry, Pampered Chef, Pure Romance, The Cocoa Exchange, Young Living Essential oils, and more! If you aren’t in the holiday spirit yet, this festive event will surely get you there! Live music, Santa on a fire truck, and a fabulous tree lighting. See you there! Take back the holiday season with mindfulness and meditation. Get practical tips and tricks that you can apply to your busy life, now. Experience the Christmas City in all its glory--shop local and meet the artisans while Christmas music fills the air. Ends Sunday, December 17! Love art? Put on your trendiest outfit and check out the opening reception of Brick + Mortar Gallery’s holiday group show ‘Buyer’s Market,’ located at the trendy new Silk Mill apartments. Peruse 100 pieces of gorgeous local art, and if you find one you love, take it home! All pieces are priced at $200. Grab your santa hat or reindeer headband, it’s time for some holiday shenanigans! For just $25, you can sip your way through downtown Allentown with festive drinks like peppermint white russians, gingerbread shots, and winter sangria. Featured stops include Hamilton Kitchen and Centro. More info here. Choose from an array of arts and crafts projects to work on as you sip on a variety of Weyerbacher brews. We promise, a light buzz makes you way more creative. Whether you are a marathon or amateur runner, or just thinking about becoming a runner, join us for our next FREE CoreLife Lesson to learn myths, truths, and tips about running in the winter season! Ugh, if you’ve ever been plagued by hip pain (hi, me too), you know it’s one injury you really, REALLY can’t ignore. Super excited to check this one out! Join Easton for a simple celebration of unity, nonviolence, and community. Luminarias and pet food donations will be available.